Get ready to SMASH your way through Secret Wars, True Believers as Sam Humphries (Legendary Star-Lord) and Mark Laming (All-New Invaders) take you to the north pole of Battleworld and beyond for an epic rescue mission in PLANET HULK #1 – a brand new Secret Wars series debuting this May as part of the WARZONE! Enter Greenland, the territory in Battleworld’s barren northern hemisphere. With its unchecked population of wild Hulks – rampant and untold destruction are everywhere. No one dare venture to Greenland’s forbidden lands without the knowledge they’ll never return. 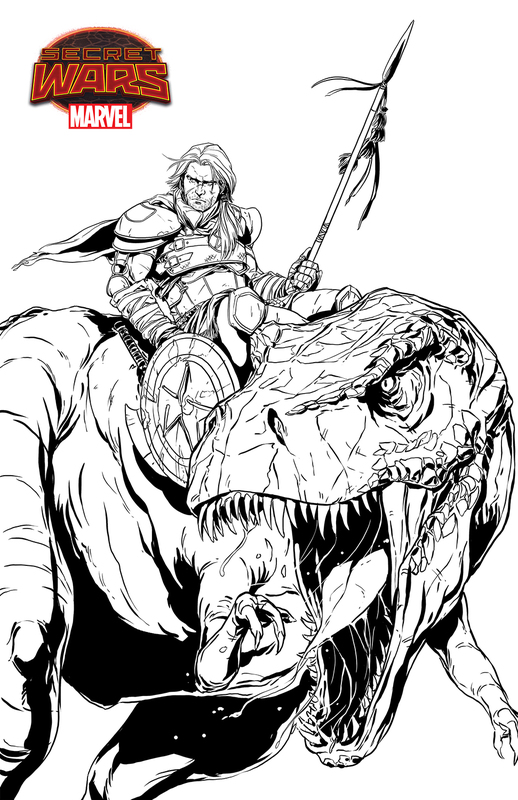 Freed from the shackles of captivity, a battle-worn gladiator named Steve Rogers and his steadfast companion Devil Dinosaur are given what could be their last task. Together, they must journey deep behind enemy lines in search of a friend, held in the clutches of the Red King! 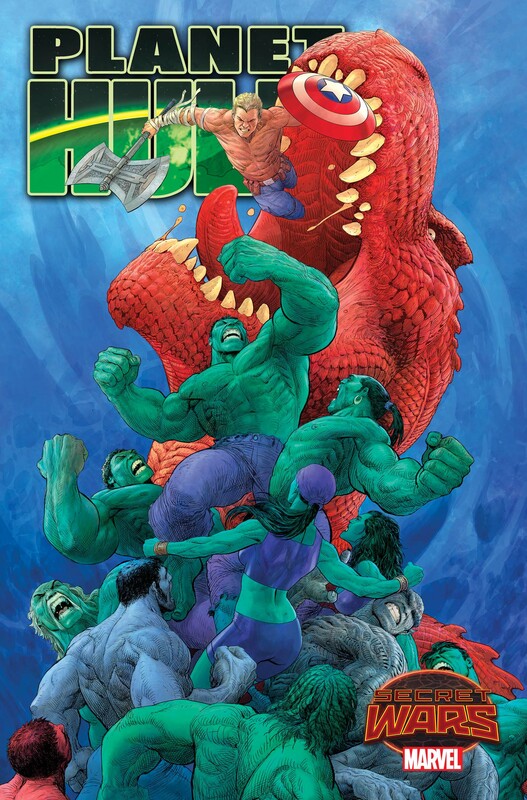 An army of Hulks could not stand between these two and their warbound comrade – yet they will try! Axe and shield shall slash Hulk flesh and razor sharp teeth shall shatter Hulk bone in a desperate bid to recover what was lost. The journey into the darkest depths of Battleworld begins this May in PLANET HULK #1, smashing in to comic shops and digital devices this May! 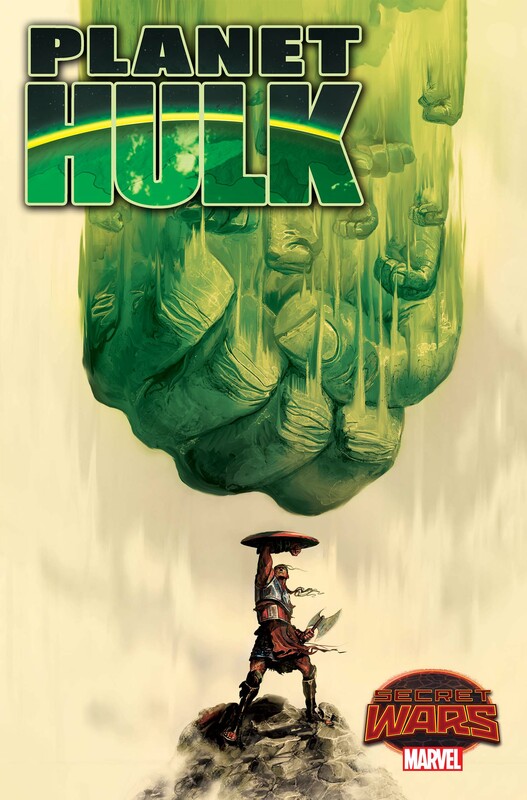 Plus: PLANET HULK #1 will also feature a surprise bonus story from a top secret creative team. For more information, stay tuned to Marvel.com and be sure to join in on the conversation on social media using the hashtag #SecretWars. The biggest Spider-Man event of all time continues in the WARZONE! this May as spider-powered heroes from every universe find themselves stranded on the surface of Battleworld in SPIDER-VERSE #1! From writer Mike Costa (Scarlet Spiders, G.I. Joe) and Andre Lima Araujo (Avengers A.I.) comes a brand-new Secret Wars series pitting the breakout stars of the Spider-Verse event against the worst Battleworld can throw at them! Their battle with Morlun and the Inheritors may be over, but the war is just heating up! 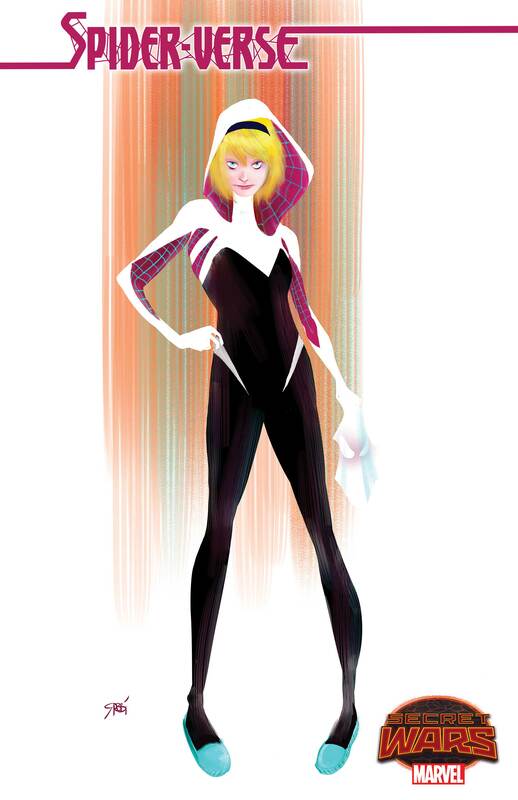 Stranded on Battleworld a small band of universe-hopping heroes – Spider-Gwen, Spider-Man Noir, Spider-Man: India, Spider-Girl, Spider-UK and Spider-Ham – will find themselves face to face with the horrors of Battleworld. How did they get here? What happened to their homes? What tragedy has befallen this region of Battleworld and how will these Spider-Men and Women deal with it? 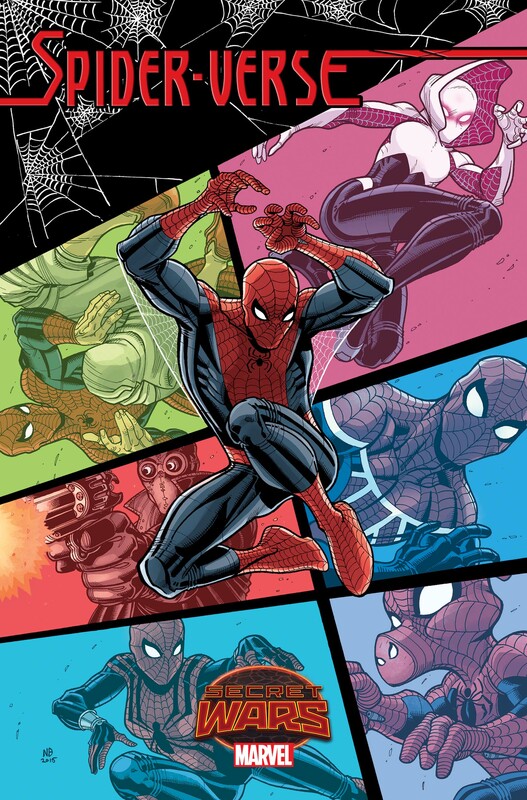 Amidst the horrors of the Secret Wars, six spider powered heroes stand alone. But here, united as one on the surface of Battleworld, are they here for a new beginning, or a grisly ending? Webs will be slung. Walls shall be crawled. And the answers you seek like in the can’t miss pages of SPIDER-VERSE #1 – swinging in to comic shops and digital devices this May!